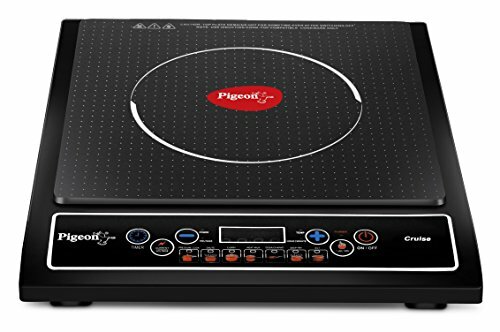 The Pigeon Cruise induction cooktop is a must-have for modern day kitchens^. This sleek and trendy cooktop is made of microcrystal plate and occupies very less space on the kitchen table. 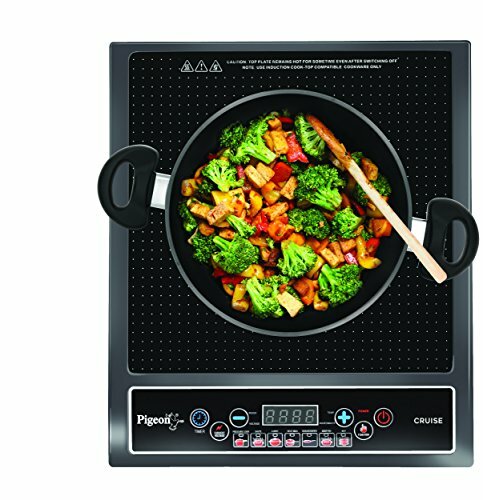 ^Switch to a healthy way of cooking with this Pigeon induction cooktop that retains all the nutrients and essential vitamins in the food. 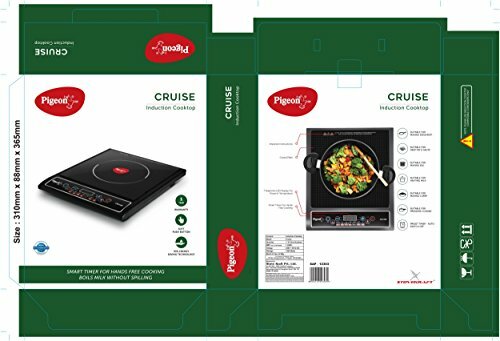 Buy Pigeon by Stovekraft Cruise 1800-Watt Induction Cooktop (Black) online at lowest price. Good induction heater with all the standard features. Durability is a question of time. 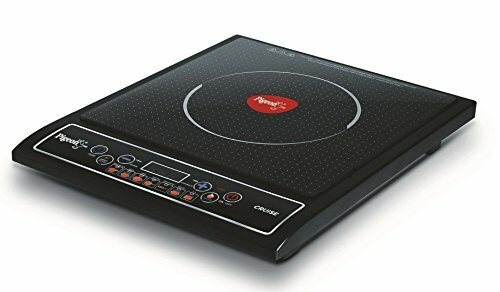 Pigion induction stove I bought is not of good quality. It broke in 6 months and we are running back & forth to fix it. Pigion products and customer service is very bad so decided not to buy pigion products. Even if it’s costier better to buy prestige or other good manufacturer with good customer service. It stopped working after a month. Warranty is of no use as they don’t have any customer care number. You will need to write an email to the. They will then share their local engineer’s number. The engineer will charge you 150 rs for the visit. Have a back up because the whole process will take 3 months.1 month to register a complain.1 month for engineer to visit your place.1 month or a half to get the faulty part replaced.Buy at your own risk.